The Centre provides a wide range of complementary treatments and therapies including Chiropractic, Craniosacral therapy, Massage Therapy, Physiotherapy, Reflexology, Shiatsu, Acupuncture and Hypnotherapy. 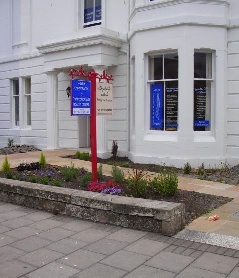 Ayr Chiropractic Centre was established in 2002 and moved to our present Miller Road location in 2006. Please use the buttons on the navigation bar on the left to look around this site, or for further information and appointments, please contact us. To view a map of the location of Ayr Chiropractic Centre click here. All chiropractors are GCC registered.